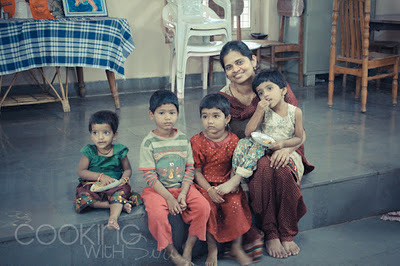 I was so moved when I happened to read Siri's post about her visit to the Vaidehi Ashram of Destitute Girls in Hyderabad, India.Reading the post made me realize how I take things for granted and how I fortunate I am. Vaidehi Ashram is home for about 108 girls (from 3 to 22 years of age) who have no parents or a single parent who can no longer take care of them. To read more about the Ashram check out Siri's posts here. 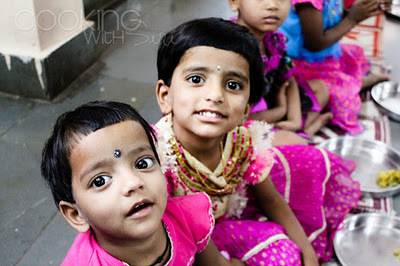 In an attempt to do a little help to these little girls, Siri has planned a fund raiser starting the 26th of January. I am helping her raise money by contributing to the list of wonderful prizes in the raffle. 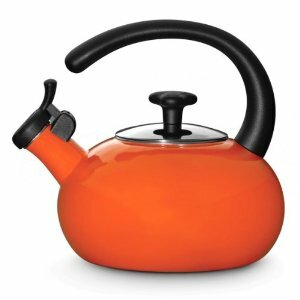 I will be giving away a Rachel Ray's Whistling Tea Kettle (available in colors - orange, blue and red) to a winner in the raffle. The item is labeled as RU11 in the list of prizes. There are over 40 exciting prizes to win. You can check out the list of prizes here and more details on how to participate in the raffle here. 1. You can contribute your donations via PayPal or Credit Card. Each $10 donated will buy you one raffle ticket towards a raffle prize of your choice. You can donate any amount.You can click the ChipIn! button below to donate or you can do it on Siri's site. 2. Once you have donated and receive your payment confirmation message, please forward the confirmation message to info(dot)siri(at)gmail.com, specifying which raffle prize(s) you are interested in. 3. Within 24 hours, your name and amount will be added to the 'Fund Drive Supporter List'. If you want to stay anonymous, please let Siri know. 4. A random drawing will be conducted by the children of the Ashram and the winners of each of the raffle prizes will be announced on February 27th, 2012. If you would like to win the Rachel Ray's Whistling Tea Kettle choose RU11 in the list of raffle prizes. I hope we could help Siri in this wonderful cause and help bring a smile in the little girls' faces. Thanks so much Divya for sharing information regarding the Fund Drive. Amazing quotes esp I simply loved the last one by William James. I linked up your post to the main Fund Drive post.